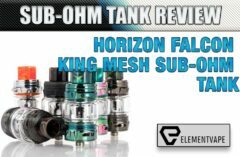 Not too long ago, we reviewed the intriguing HorizonTech Arco and Arco II tanks, which were designed around new coil technology, using flax paper to improve heat resistance and juice flow. 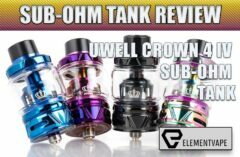 For the most part, they were great sub-ohm tanks. 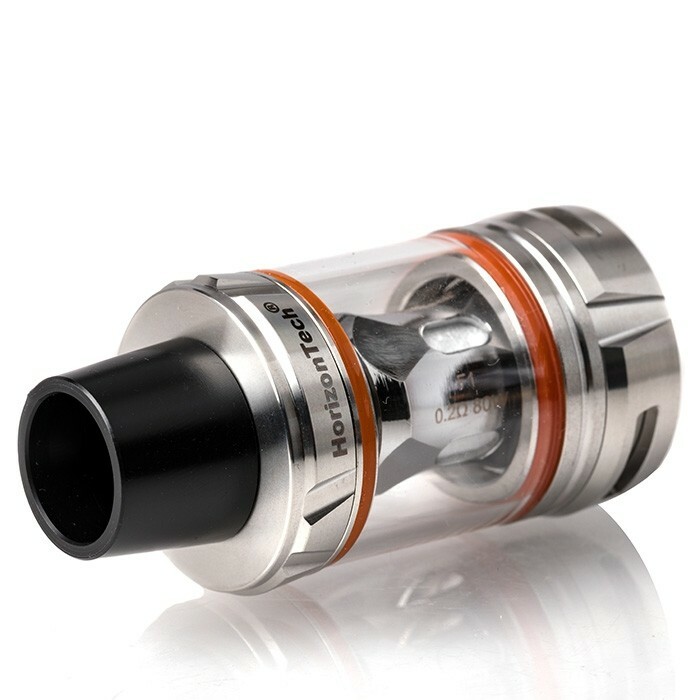 But after a week with the all-new HorizonTech Falcon sub-ohm tank, it looks like the Arcos were just warm-ups for the main event. Because the Falcon is one of the most flavorful, enjoyable tanks I’ve ever had the pleasure of reviewing. In fact, if not for one (somewhat glaring) flaw, it might have become my new go-to atomizer. Let’s take a closer look to see what makes this Falcon soar. Smaller than both of the Arco tanks, as well as my current favorite sub-ohm setups, the SMOK TFV12 Prince, and the Uwell Valyrian, the Falcon makes an unassuming first impression. Though the metallic blue finish certainly caught my eye, this 25mm tank isn’t notably different than the myriad other cloud-chucking options on the market. But that doesn’t mean it’s not attractive. The Falcon is extremely well-machined, with flawless threading, well-designed parts, and a thoughtful selection of extras inside the tube packaging. Most notably, a beautiful resin drip tip that SHOULD have come preinstalled, because it makes the Falcon look considerably nicer than the tapered delrin stock mouthpiece. Another feature of note is the extra large fill ports, underneath the butter-smooth top cap. With ports this wide, only the most ham-fisted fillers will have any trouble with overflow or leaking – at least from this portion of the tank. Finally, the bottom airflow contains three fairly large slots, measuring roughly 14mm each. Even mostly closed off, the Falcon proved to have a loose draw, but the well-machined AFC ring allows for a semi-restrictive MTL draw when closed entirely. I don’t know if this is an optimal use of the Falcon tank, but it’s nice to see more companies creating multipurpose tanks that can serve different audiences. By now, there aren’t too many surprises when disassembling vape tanks, and the Falcon certainly didn’t present anything new or different. But the product is built, designed and machined well throughout – something more companies should strive for in 2018. As we highlighted in our preview, HorizonTech continues to innovate with coil technology. And while I remain a fan of the flax paper/cotton blend of the Arco and Arco II, the Falcon’s multiple coil options are light years ahead of the curve. 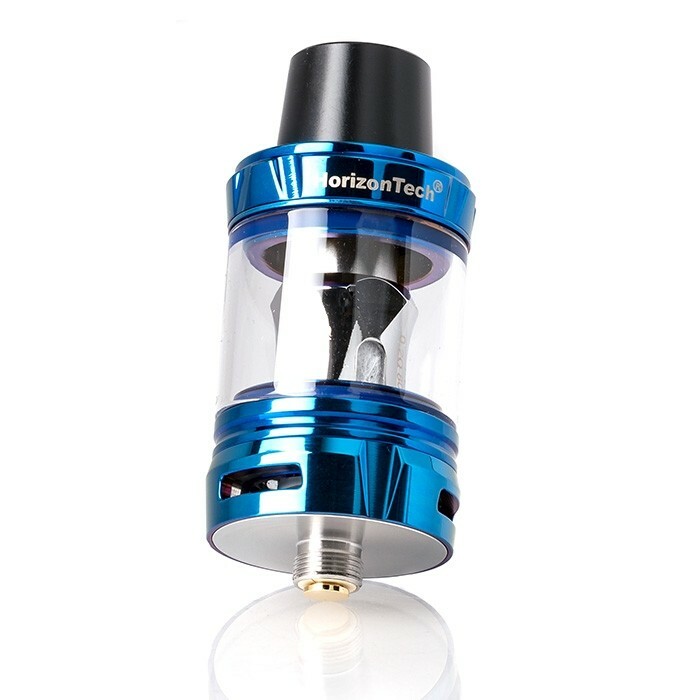 In fact, I’ll come out and say it – Uwell might want to watch its back, because HorizonTech’s focus on rich flavor and high performance (even at lower wattages) has turned these coils into direct competitors for Crown’s industry leaders. Inside the box, you’ll get two of four possible coil configurations. Mine came with the interesting F1 parallel coil, reading at 0.2-ohms, and rated for up to 80 watts. But those numbers aren’t the interesting part. Instead, it’s the 70/30 cotton to wood pulp composition that caught my eye. After seeing what HorizonTech did with flax paper, I was intrigued by how these new materials might enhance the vape experience. Well, I wasn’t disappointed. After a short break-in, the F1 offered thick plumes of rich vapor, even at a moderate 60-65 watts. It wasn’t the warmest vape I’ve ever had, but it didn’t need to be. I was fogging my office at RDA levels, while never leaving the mid-wattage comfort zone. Pushing this coil to its 80 watt limit only warmed things up, but the coil is likely best below 70 watts, since the increased warmth muted the flavor a bit. Besides, by keeping it at lower wattages, I found the F1 to offer the same optimal performance for roughly eight days before dipping slightly. It’s not the longest lasting coil in history, but it’s a wonderful ride while it lasts. The other coil in the package was the 0.15-ohm M1 mesh coil, which has the same ratio of cotton and wood pulp as the F1, but with a slightly lower heat limit. Well, as it turned out, it also had even BETTER flavor than its sibling, at even lower wattages! Using my new Sigelei Snow Wolf VFENG-S (a matching blue one, I might add), I barely exceeded 55 watts on the M1 before my office looked like a typical London morning. Flavors were bold and deep. More nuanced juices shone. 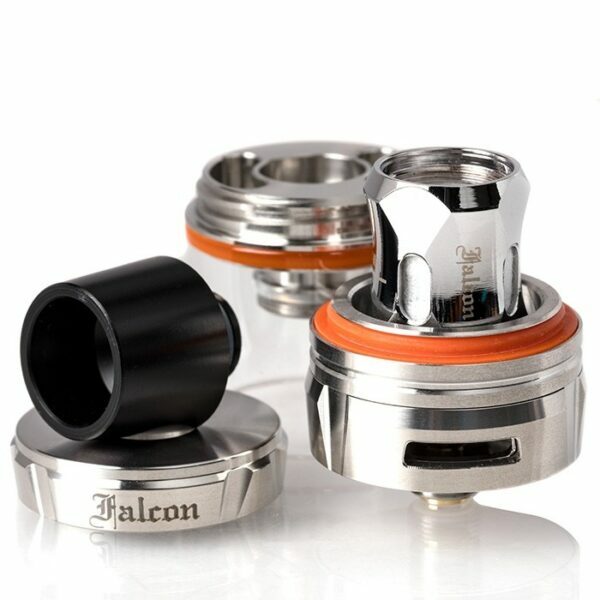 And even my thickest, sweetest liquids performing without a hitch when using the Falcon M1 coil. Unfortunately, those were the juices I needed to use. Because anything thinner than 80/20 VG/PG produced the Falcon’s ONE solitary problem (at least with the M1) – unbelievable leaking from the airflow and 510 connection. When I first noticed the condensation and leaking, it happened while vaping a less-viscous, 60/40 liquid. A slight gurgle tipped me off to some mild leaking through one of the triple airflow slots. Then all three. So, figuring my coil was seated improperly, I disassembled the Falcon and started over, using the same juice. Well, the coil was seated as intended. But even after a quick bath and repair, the Falcon still slowly oozed e-liquid from the bottom. So, I cleaned the mess, closed off the airflow, and put the Falcon aside for about a half hour. Imagine my surprise when I pulled it off my rack, sitting in a puddle of e-liquid, all of which came from the Falcon’s 510 pin. Determined to make this work, I tried one more time, giving the tank a bath and switching to a 90/10, max-VG liquid. I’ll be damned, the leaking stopped entirely. And the coil once again vaped like an absolute champion during the rest of my testing. Rich flavor, huge clouds, and stutter-free performance on every mod I threw at it. It wasn’t THAT long ago that thicker liquids were the culprit behind poor tank performance, not the other way around. 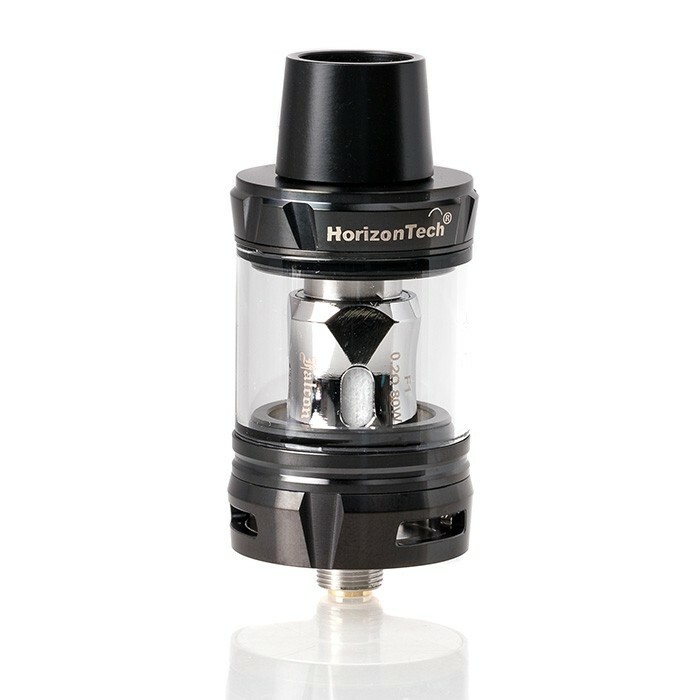 But the HorizonTech Falcon is clearly designed to handle today’s higher-VG juice without a hiccup. I only wish I could say that for other types of liquids. Despite that messy quirk, the HorizonTech Falcon nonetheless impressed the hell out of me. 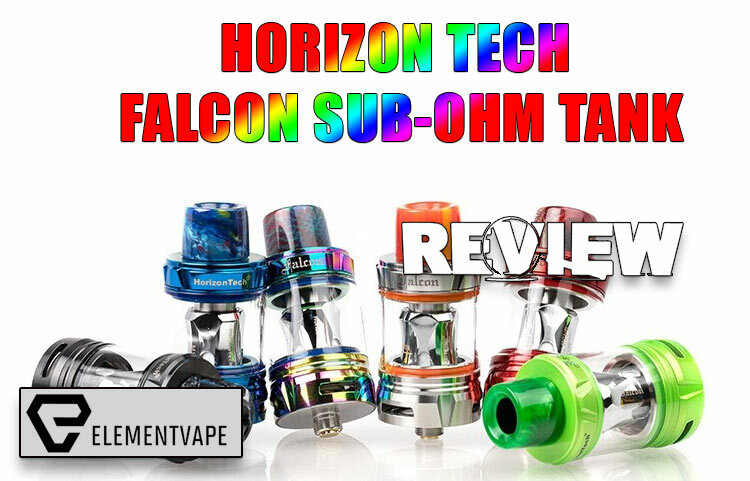 Its ridiculous, near-RDA levels of flavor and vapor production (at VERY moderate wattages) immediately puts the Falcon in rarified air among sub-ohm tanks in 2018. And the F1 coil stands as one of the best performers I’ve seen in some time. Even the M1 performed well with high-VG liquids. 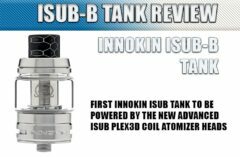 But the inexplicable leaking when using it with thinner juices stands as the only black mark against an otherwise impressive tank. If you’re insistent on using less-viscous liquids, you might want to consider that before buying the Falcon. 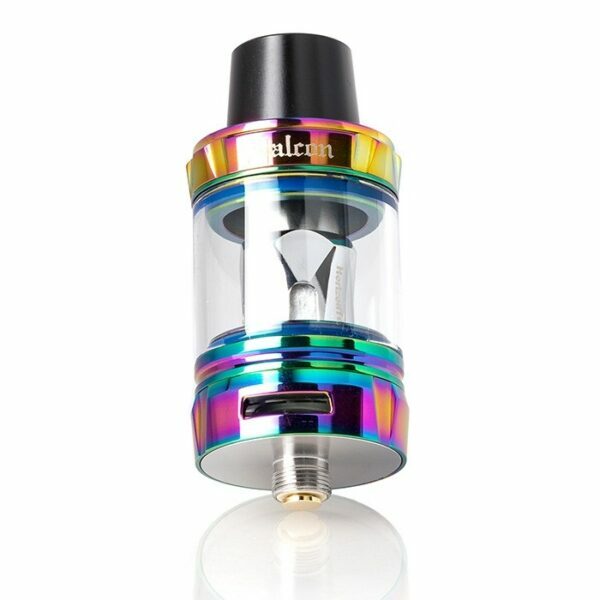 But max-VG vapers looking for flavor to match those milky clouds, it’s time to add another tank to your wish list.